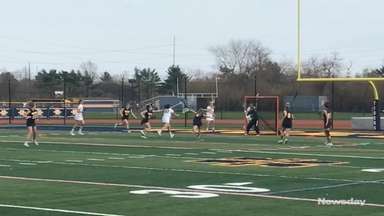 Lizzy Harris, Alexandra Pidedjian and Lindsey Ronbeck each had three goals to lead the top-seeded and undefeated Indians (17-0) to a 19-3 quarterfinal win over No. 9 MacArthur. Manhasset is ranked No. 3 in the country, according to LaxPower, and will play (4) North Shore in a semifinal on Wednesday at Adelphi at 4 p.m. The Friars won their sixth straight spring NSCHSAA League title, according to coach Tim Dearie. The Friars completed the league triple crown, encompassing cross-country, winter, and spring track crowns. Pat Tucker won the 1,600 meters (4:19.13) and the 3,200 meters (9:30.06) and was named MVP. 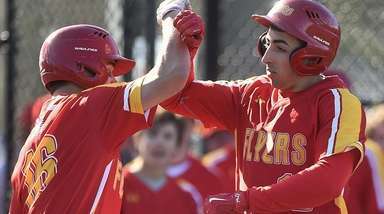 The Chiefs win streak reached 33 games with a 17-4 quarterfinal victory over East Meadow. 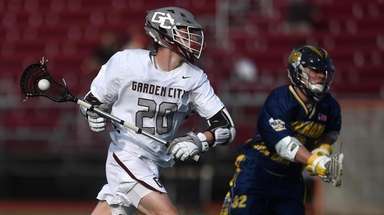 Carter Hawthorne led the way with four goals and an assist. Massapequa faces Hicksville in a Nassau A semifinal tomorrow at 5:30 p.m. at Hofstra. Aviana Goode won the high jump, clearing five feet, six inches and 100-meter hurdles in 14.56 seconds at the Eddy Meet in Schenectady. Goode finished third in long jump in 17-4 and led Bay Shore (29 points) to a fourth-place finish. The Thunder birds earned the top seed in the Suffolk Class AA playoffs. Righthander Travis Bruinsma is 7-1 and the offense has four guys, Aaron Gagliano, Dave Brehm, Brandon Morse and Christian Nissen hitting over .400. The Braves belted Baldwin, 15-5, to advance to the Nassau A semifinals against Port Washington on Wednesday at 5:30 p.m. at Hofstra. J.P. Lannig scored four goals with an assist and Mac O'Keefe had three goals and an assist. Led by the trio of Alexa Niven, Peyton Greco and Cassie Hall, Smithtown East finished the regular season 14-0, including 11 wins by shut out. Middle Country (16-0), the only undefeated team in Suffolk, is led by the Ortega sisters. Nikki Ortega, a senior committed to Notre Dame, has 113 points (54 goals) this season. Jamie Ortega, a sophomore committed to North Carolina, has 100 points (67 goals). 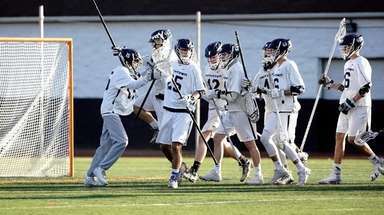 The Generals, riding a 17-game winning streak, wrapped up the Nassau Conference AA-I championship and cruised to a 13-1 win over Syosset in the quarterfinals. Starting pitcher Jessica Budrewicz - who forms a battery with her identical twin sister, Ashley - allowed six hits and struck out eight. 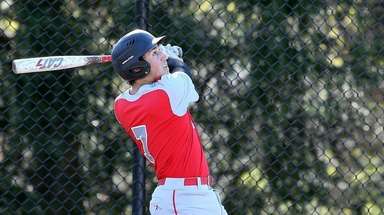 The Patriots earned the Suffolk League I title and have Long Island's top pitching rotation in Joe Flynn, Ben Brown and Joe Barbieri heading into the Class AA playoffs. The lineup of Brandon Lee, Flynn, Jeff Towle and Troy Davern is explosive. On the cusp; Smithtown East girls golf, Mattituck baseball, Cold Spring Harbor boys tennis, Half Hollow Hills boys badminton, Northport boys lacrosse.